Inside the Cape Hatteras Lighthouse. The 207 foot tall lighthouse is has guided ships in treacherous waters of the Atlantic Ocean since 1803, first lit with a whale oil lamp, the lighthouse first stood only 90 feet tall. Since it’s first appearance the lighthouse has been replaced with the taller structure in 1870. Then in 1999 the lighthouse was moved 1,500 feet back due to beach erosion. The Cape Hatteras Lighthouse is one of the best known Aids to Navigation in the world and it is the tallest lighthouse in the United States. The Lighthouse is owned by the National Park Service Outer Banks Group, just one of twenty four lighthouses owned by the NPS. The Cape Hatteras Lighthouse, along with the Bodie Island and Ocracoke Island Lighthouses, keep the North Carolina Outer Banks safe. Together with the Bodie Island Lighthouse, The Cape Hatteras Lighthouse covers an area called the Graveyeard of the Atlantic, where the warm Gulf Stream and cold Labrador Current meet. Hundreds of ships have met their demise in this area, where the shifting of sandbars occurs, called the Diamond Shoals. 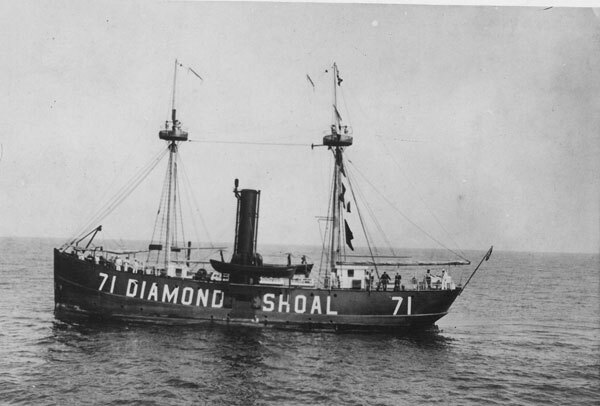 The Diamond Shoal Lightship was used to guard these dangerous waters was sunk in 1918 by a German submarine. It was the only lightship sunk by enemy action in the U.S. 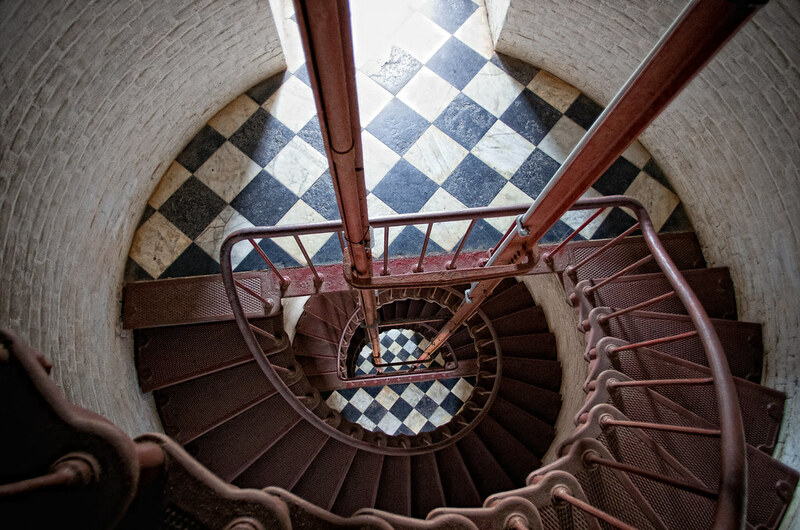 Inside the Bodie Island Lighthouse, a Fresnel lens continues to light the way reaching nineteen miles out to sea. In addition to the group of Ligthhouses that keep these waters secure, the Roanoke Island, North Carolina based Wanchese ATON team uses a fifty foot tall ATON boat, a twenty six foot tall ATON boat, and en eighteen foot skiff to maintain 570 floating fixed Aids to Navigation from the Ocracoke Inlet to the Intracoastal Waterway at the Virginia-North Carolina border. Today, the Coast Guard Aids to Navigation system includes more than 48,000 buoys, beacons, ranges, sound signals and electronic aids that mark the more than 25,000 miles of U.S. waterways.